The Chardonnay grapes originate from Durbanville and the Pinot Noir grapes from Elgin. The Chardonnay was picked at 21,5 degrees Balling and the Pinot Noir at 23 degrees Balling. The two varieties were bunch-sorted and whole-bunch pressed to ensure gentle extraction of the juice. The Chardonnay and Pinot Noir were fermented separately between 12 - 14 degrees Celsius and left on the lees for 6 weeks, to ensure flavour intensity and structural elegance. 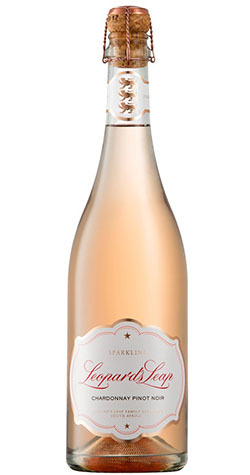 The two varieties were blended and bottled under pressure with just the right concentration of carbon dioxide to bring about the perfect bubble for this sparkling wine.